The Parenta Trust has announced its biggest fundraising event to date – the Maidstone to Monaco Banger Rally. On Wednesday 18th September 2013, Parenta founders Nick Williams and Allan Presland will be joined by a team of fundraisers on a four day journey through France, Switzerland and Italy to raise enough money to build a pre-school in Uganda. The Maidstone to Monaco Banger Rally will support the Parenta’s Trust fundraising efforts to build at least one school and create one fresh water borehole in Uganda by the end of the year. Interested fundraisers will need to complete a straightforward application process to get involved. After registering online at Parenta Trust website, they must find a roadworthy car for £350 or less, gather a team that will raise a combined fundraising contribution of £1,000, choose a theme and prepare to set off on the drive of their life. The drive will involve a few extra challenges along the way, with prizes awarded to teams for a variety of achievements. As you would expect, you will only find out about these once the drive is under way. Created to help those who care for children in difficult circumstances, the Parenta Trust is committed to raising funds to give children in Uganda and eastern Africa opportunities that simply wouldn’t exist otherwise. To help this, they have joined forces with Fields of Life in Uganda to make a positive difference to children in one of the world’s poorest nations. By working with the charity that has built over 100 schools and freshwater boreholes across Eastern Africa, 93p of every pound raised will be effectively spent on the ground in Uganda – without any administration costs to the Trust. With its fundraising efforts in Uganda, the Parenta Trust demonstrates a huge commitment to ‘helping those who care for children’ that extends far beyond UK boundaries. 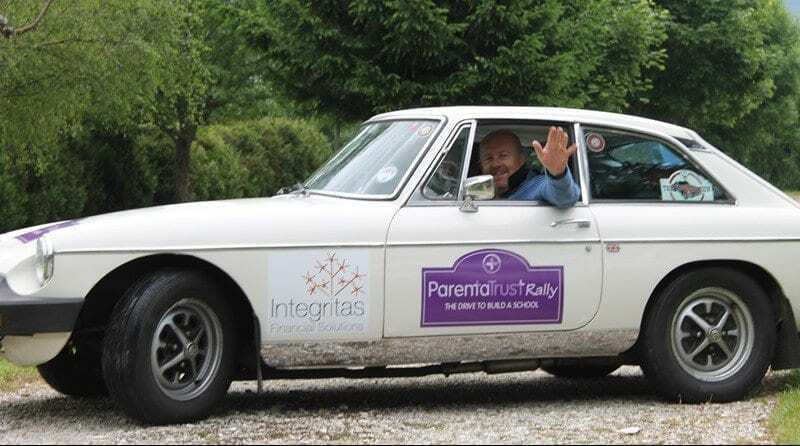 The Maidstone to Monaco Banger Rally will see the Parenta Trust take its fundraising message across Europe and continue its efforts to help Ugandan children complete their schooling and transform their lives. To find out how you can donate or for more information and the latest news from the Parenta Trust, go to Parenta Trust.